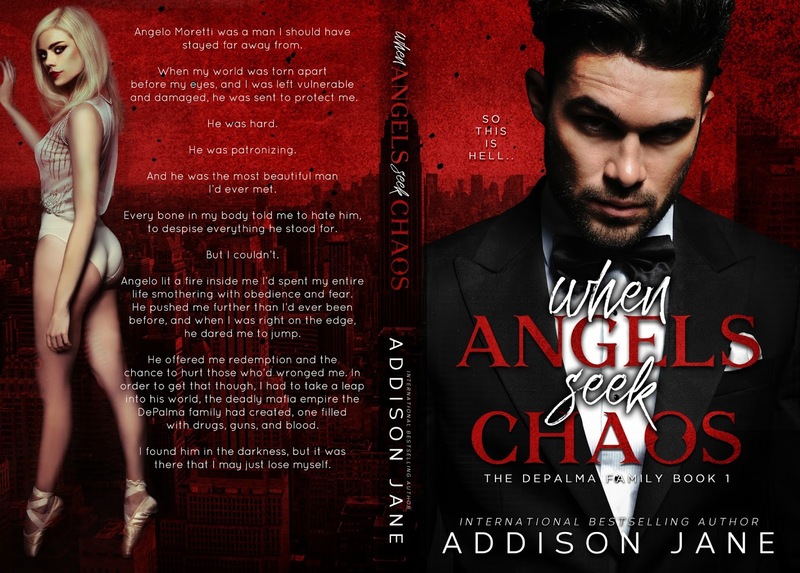 Addison Jane: When Angels Seek Chaos OUT NOW! damaged, he was sent to protect me. on the edge, he dared me to jump. empire the DePalma family had created, one filled with drugs, guns, and blood. I’ve loved mafia stories ever since I saw The Godfather for the first time. When Angels Seek Chaos is the first book of The DePalma Family -series and I loved it. 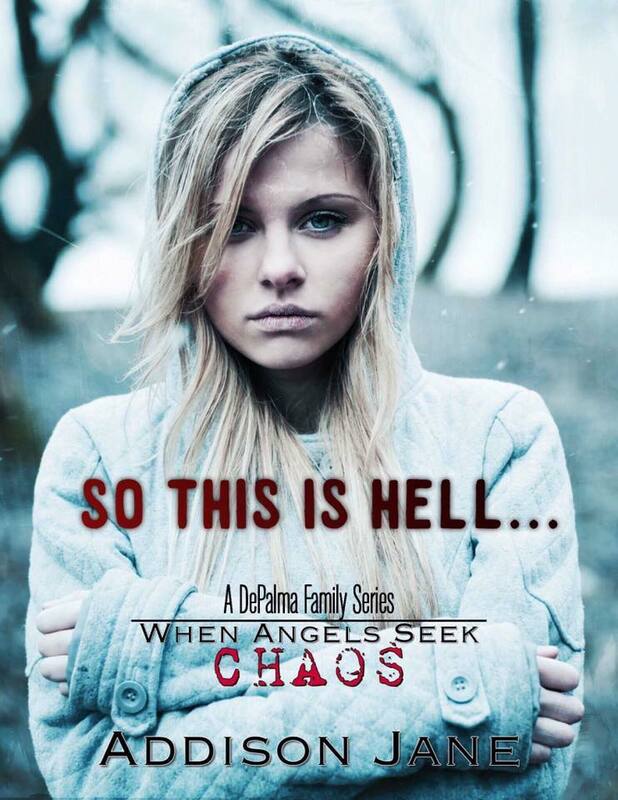 The storyline is incredible, and it is everything from dark and twisted into sizzling hot. Alpha males, big guns, capable females, violence… everything to make an excellent mafia story. Emerson Rossi knows of her Italian heritage, but as far as knowing that her uncle is the boss of DePalma family, she has no idea. Her father has dissociated himself from his mafia roots and built a successful, legitimate business on his own. But as we know, you can never truly leave. This becomes evident in one horrific event that changes everything for Emerson, even who she thought she was, is changed. She needs protection, and that’s Angelo’s job. A job he takes very seriously. This story is about pain and enduring it. Becoming stronger. Finding out who you truly are. It’s about making every minute count because life is fragile and not to be taken for granted. This is also a story of love, small flames growing into a blaze of passion. 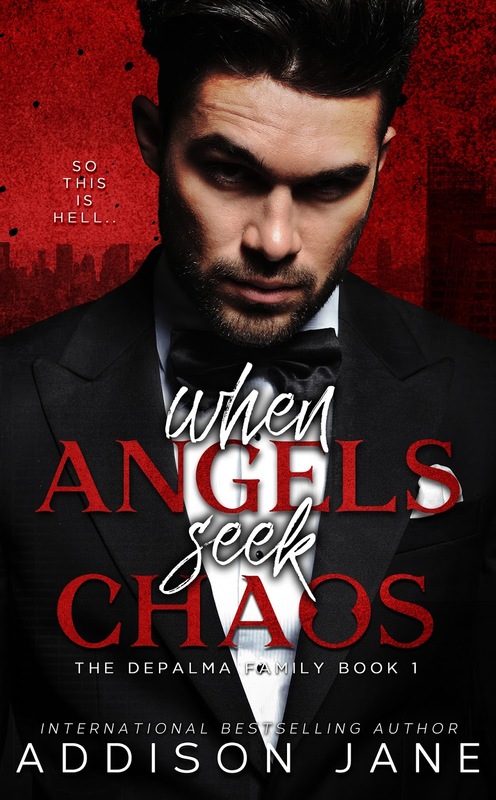 When Angels Seek Chaos is an astonishing depiction of a mafia family, the ancient codes they live by. The family is everything and betrayal in unforgivable. 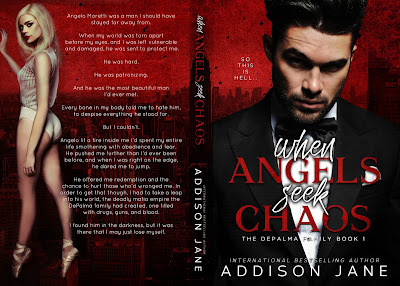 This is what I enjoyed the most, Addison Jane has created this world of DePalma Family, and it is amazing. There is the Godfather vibe that lures you in and makes you wanna be part of the family. Previous PostE.K. Blair: Crave pt.1 Release Blitz! Next PostBlood Stained Tranquility by N. Isabelle Blanco is out!